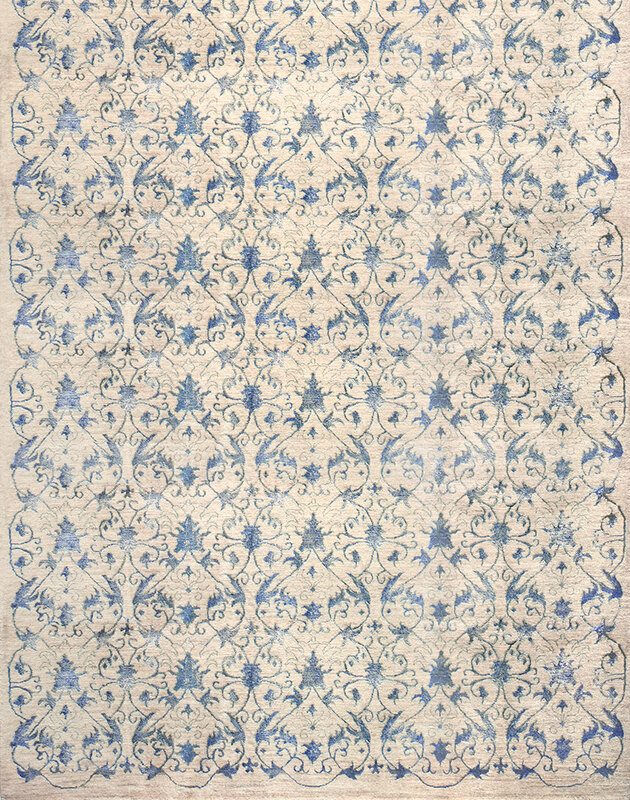 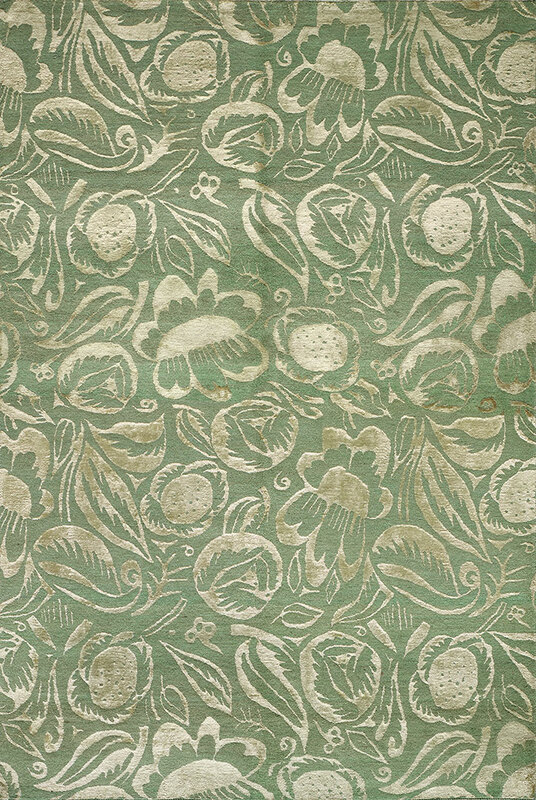 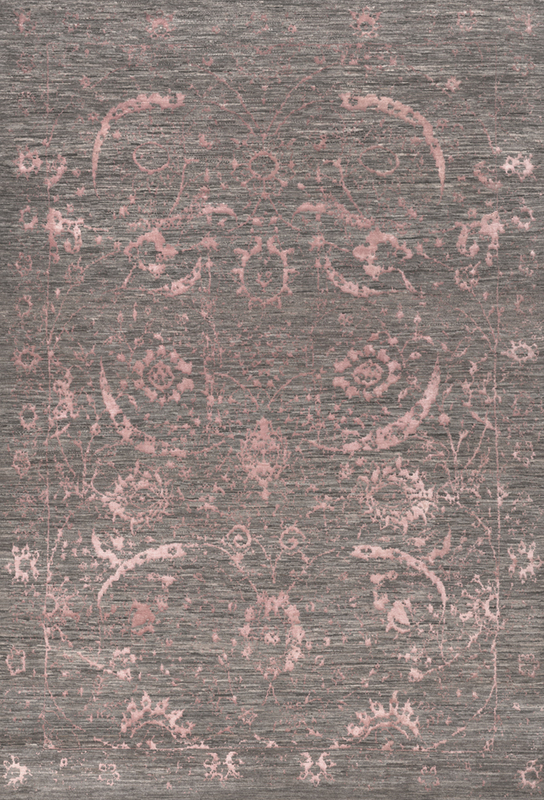 The original 'Isfahan' Collection (Gloss and Dots), created in collaboration with the Milanese company SoFar SoNear (www.sofarsonear.com), has been greatly expanded with the introduction of many new design lines including: Vase, Floral Cartouches and Anar. 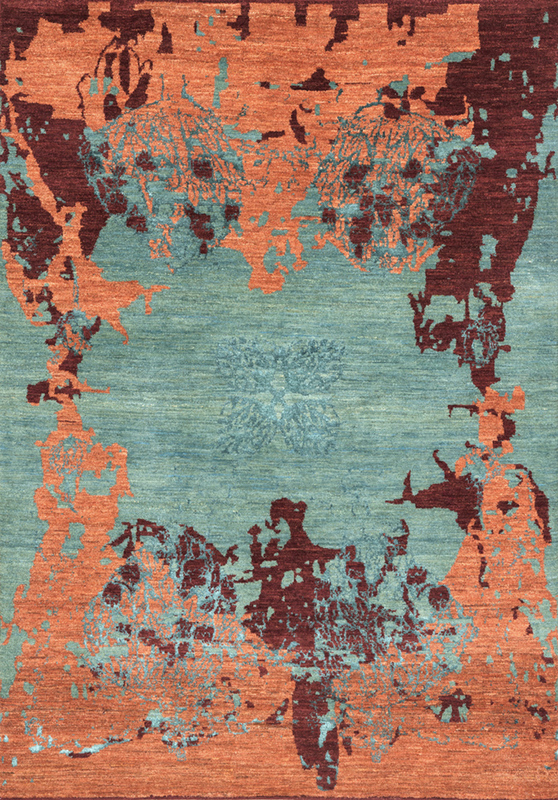 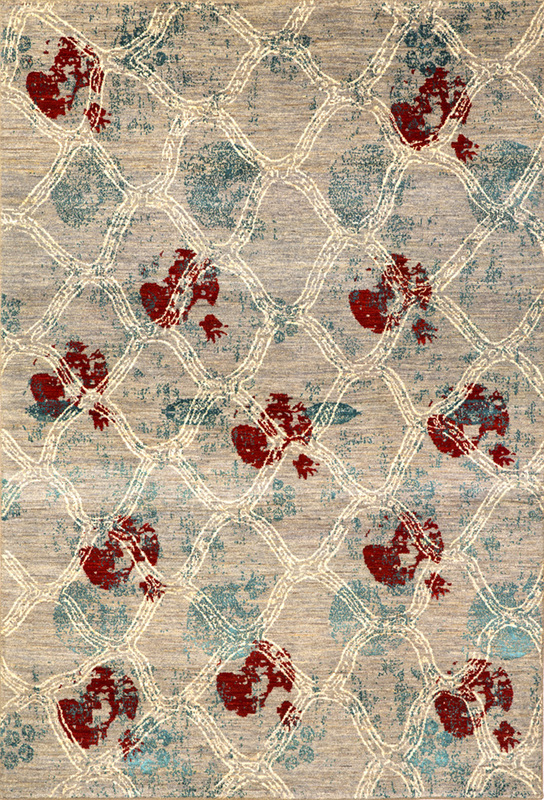 Anar was created by NOV24 (www.nov24.at) for Zollanvari and is a personal journey through fond memories translated into contemporary carpets for modern interiors. 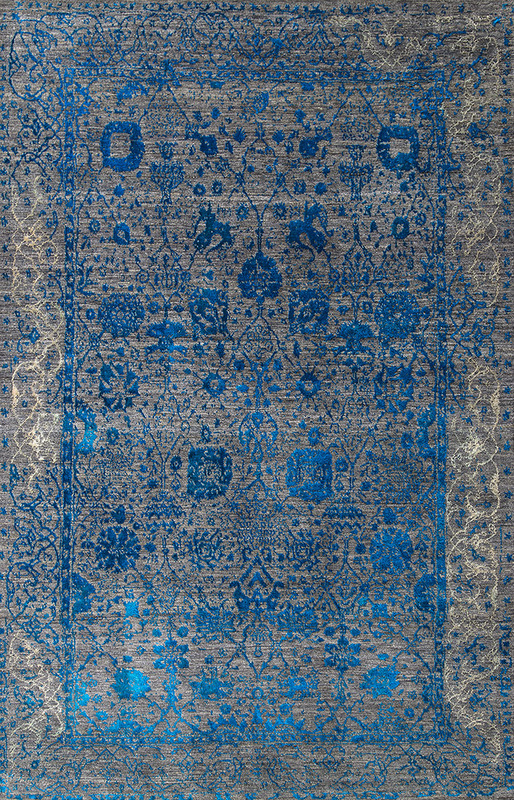 The weaving techniques, the combination of wool and silk, the choice of the subjects to be woven, and the dyes used, all have deep roots in the weaving heritage. 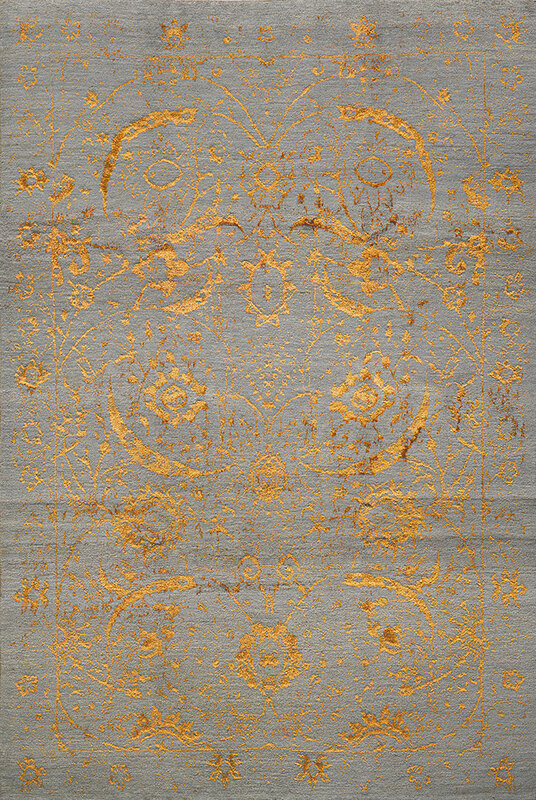 The rediscovery of and deference to these elements are at the heart of these designs. 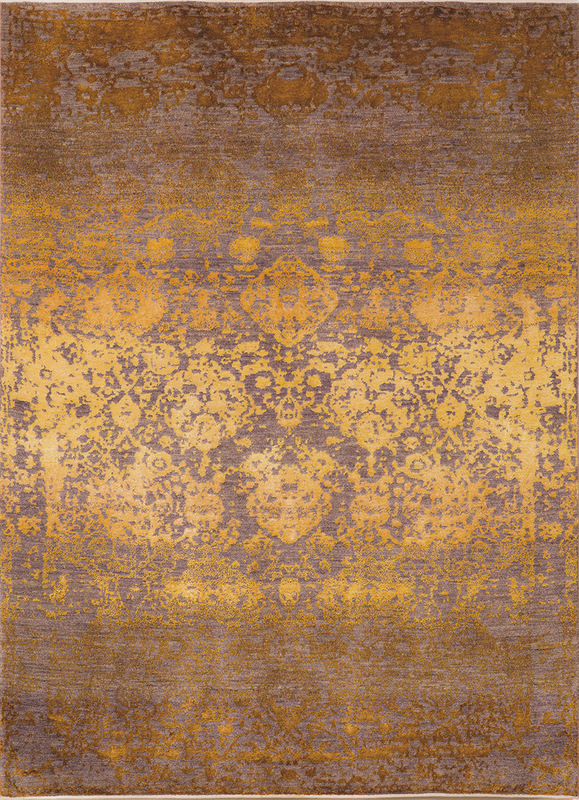 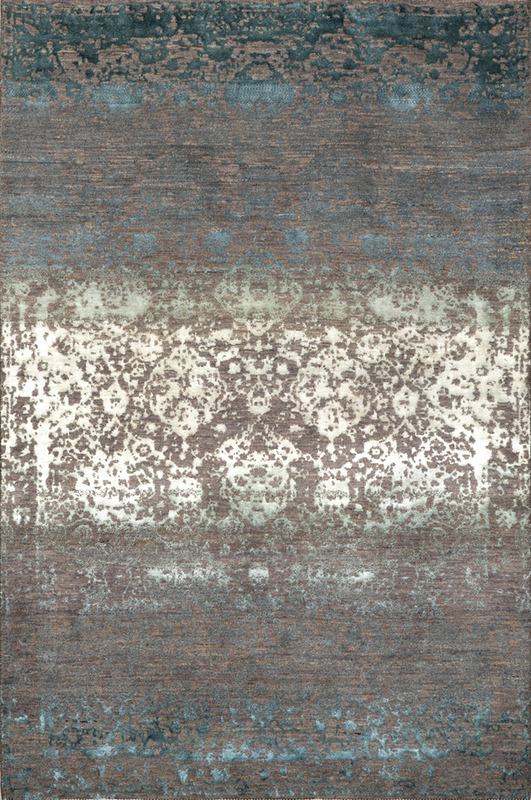 Transporting traditional motifs into the contemporary design world by adding a palette of modern shades while maintaining the intrinsic quality and character of the carpet has been the challenge – resulting in carpets with soul, history, innovative spirit and design virtuosity. 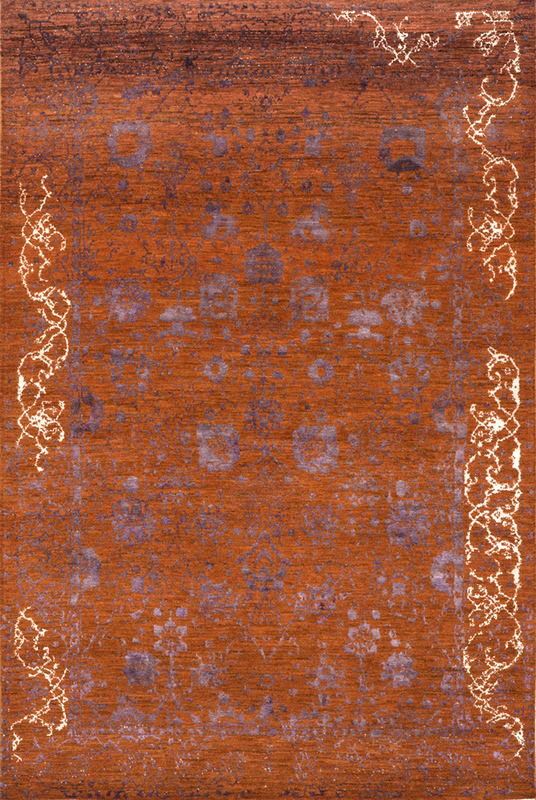 All the designs published on this site are copyright registered by Zollanvari International and are our sole property. 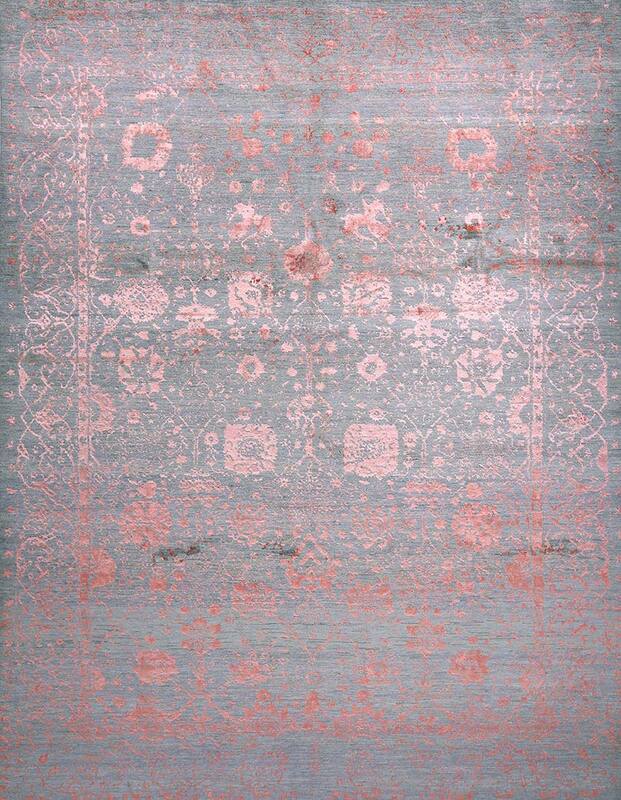 Derakhte Anar 4b, Turquoise, Coral & Wine, Wool & Silk, 169 x 240cm. 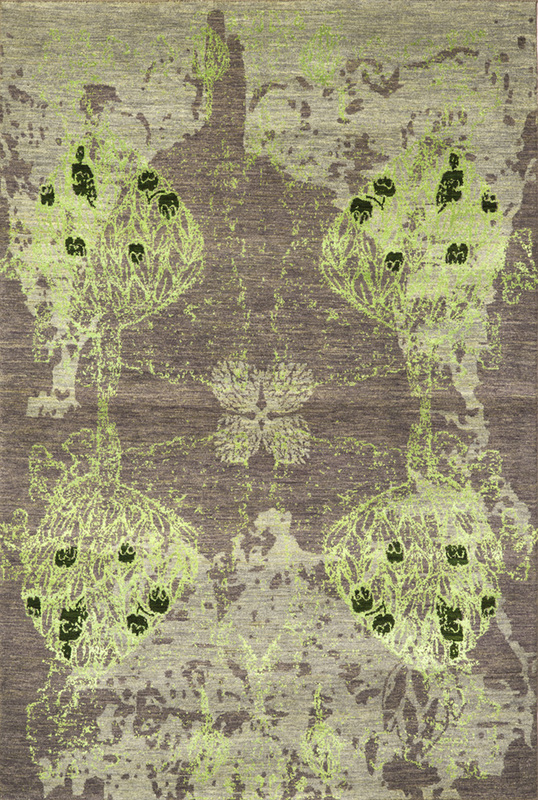 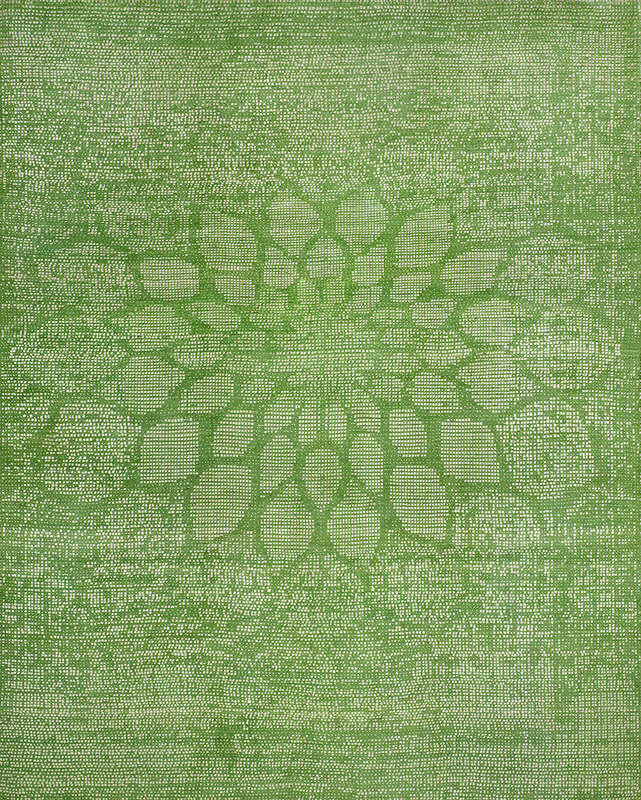 Derakhte Anar 1a, Grey, Lime & Racing Green, Wool & Silk, 160 x 238cm. 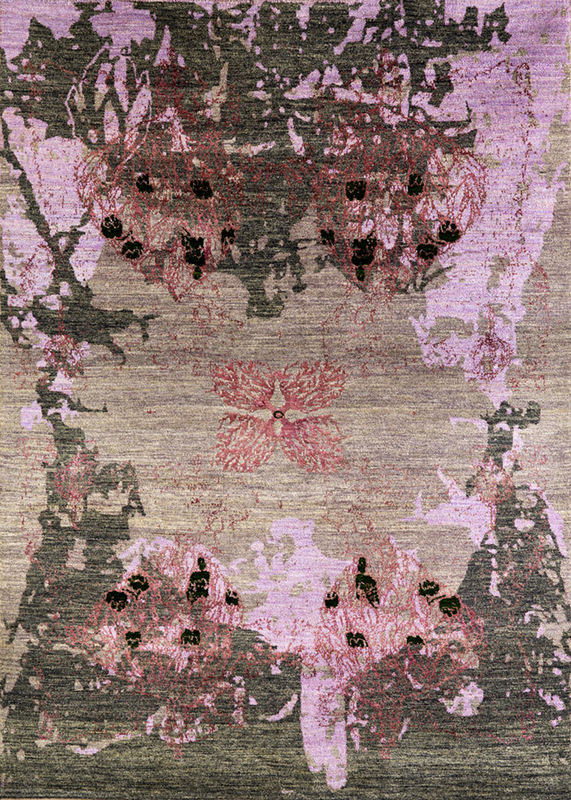 Derakhte Anar 3b, Lilac, Purple & Grey, Wool & Silk, 172 x 241cm. 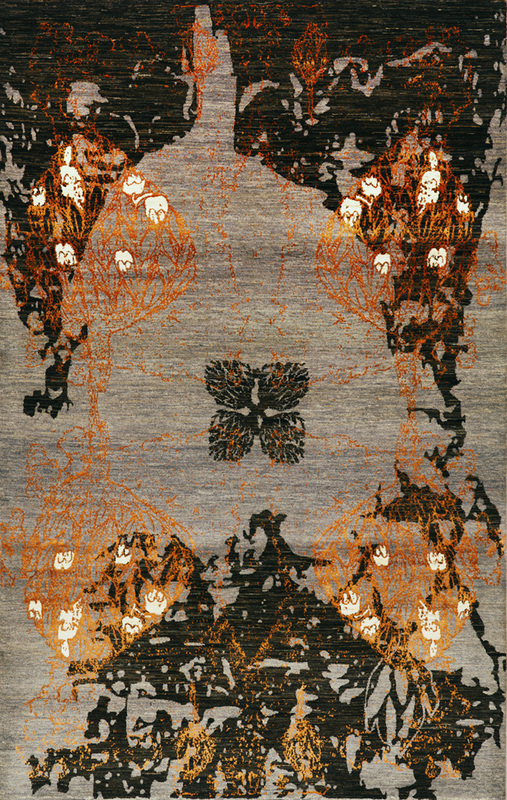 Derakhte Anar 2a, Lilac-Grey, Black & Orange, Wool & Silk, 103 x 192cm. 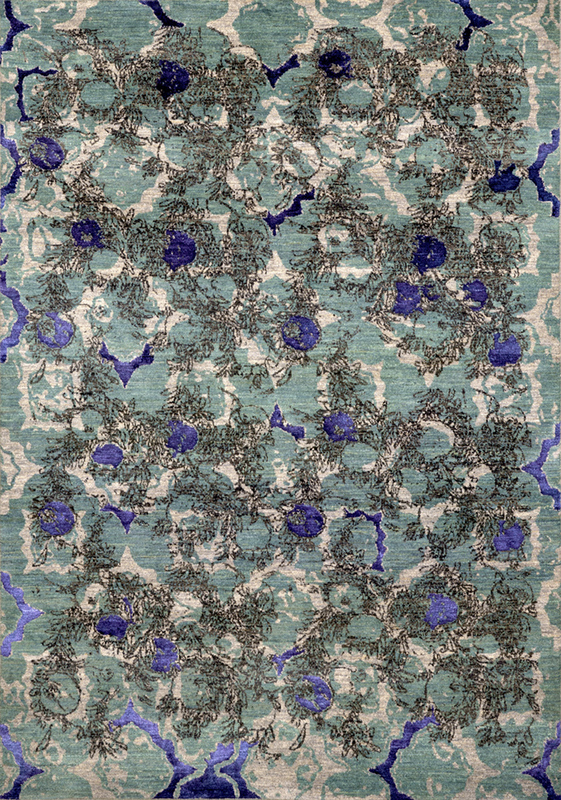 Anar dar Sabad 1a, Abrashed Grey Ground, Wool & Silk, 163 x 240 cm. 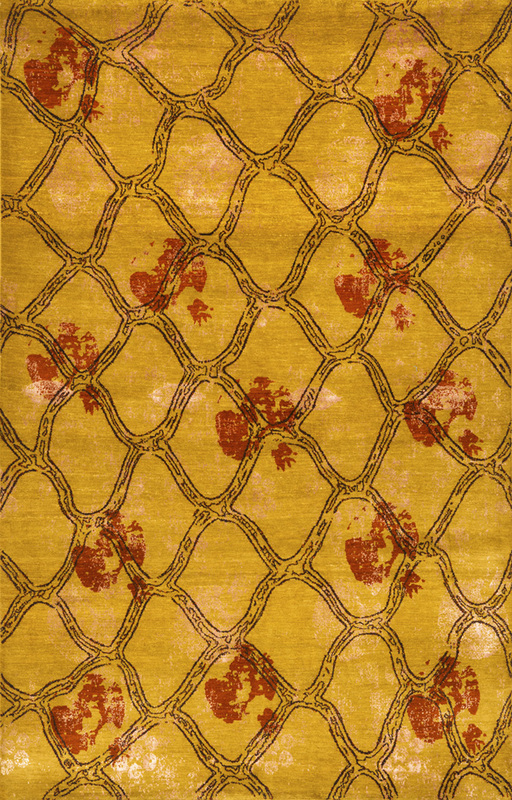 Anar dar Sabad 2, Abrashed Deep Yellow Ground, Wool & Silk, 198 x 310cm. 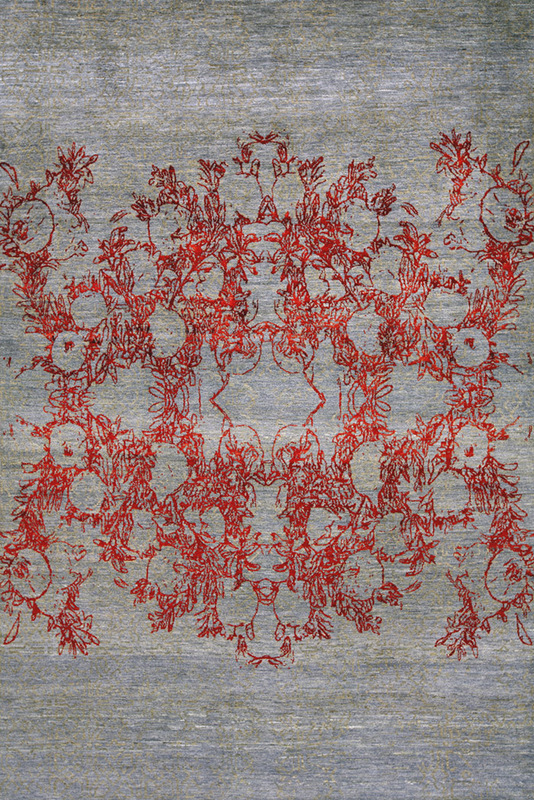 Anar dar Toor 1a , Red & Blue-Grey, Wool & Silk, 198 x 303cm. 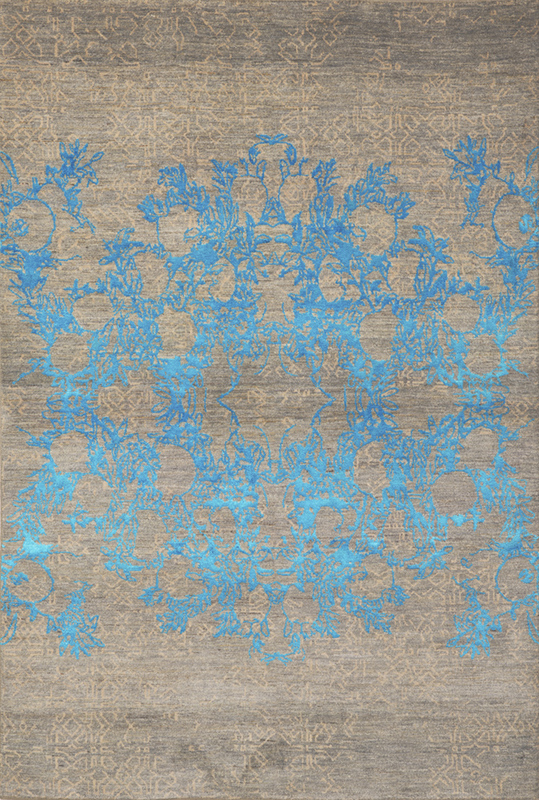 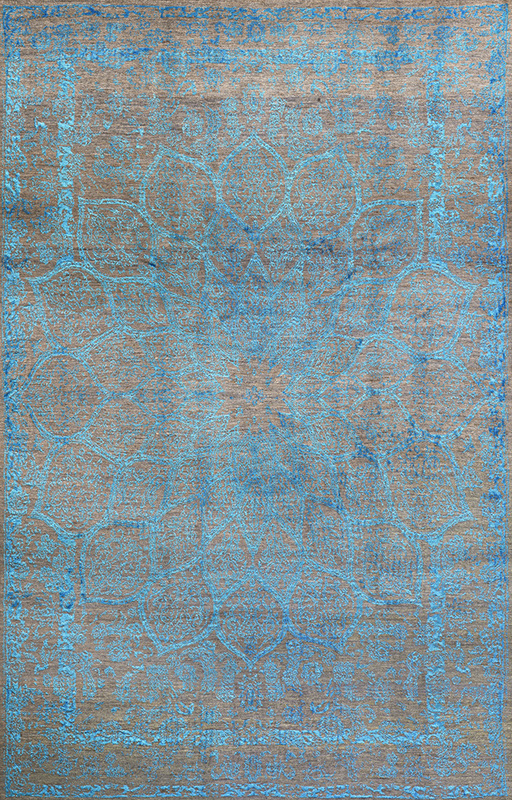 Anar dar Toor 2c, Turquois, Wool & Silk, 163 x 240cm.